You’ve seen the job announcement. You’ve decided to apply. And, you’ve prepared the resume. You’re ready to hit send on your materials—and then you remember…the cover letter. We all know that it is common practice to submit a cover letter with a resume when applying for a full-time job or internship. Unfortunately, it is equally common that the letter regurgitates the resume. Doing so places the applicant at a disadvantage given that the potential employer already will have read what you repeat. 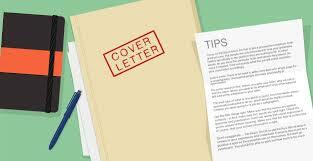 So, what makes for an effective cover letter? And, how can you make it work to your advantage? Join us to find out. Featuring: Bill Shields, Executive Director of ASPA and Professor at American University.